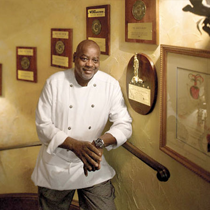 Walter was among the class of chefs who were part of a renaissance of celebrated chefs, all coming from the Triangle. When Alice and Van were scouting chefs, searching for the perfect person to run the kitchen of the Triangle’s largest restaurant, they luckily found Walter. Not only did Walter have the mastery of southern cuisine down to an art, he was also a southern gentleman … just what the Angus Barn needed! 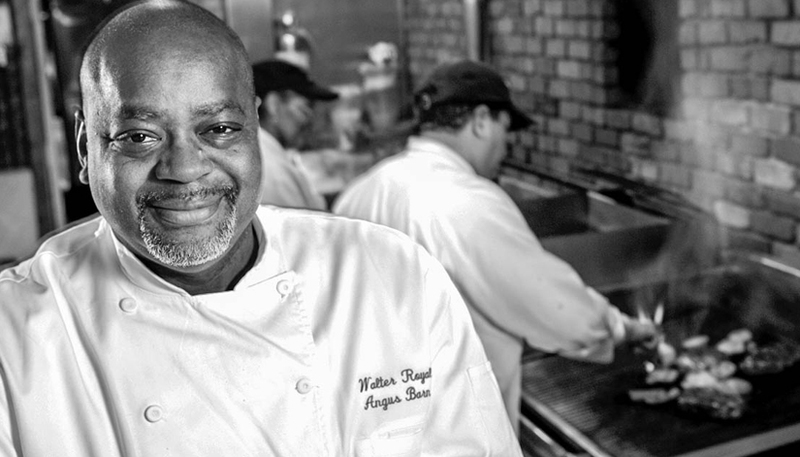 Alabama-born Walter Royal, Executive Chef of the Angus Barn and Pavilion, knew at the formative age of 14 that he wanted to spend his life exemplifying the southern way of spreading irresistible food before guests. His first classrooms were his mother and grandmother’s kitchens where he learned that the very essence of southern hospitality is homemade. To enhance his education, he attended Nathalie Dupree’s Cooking School in Atlanta and eventually found his way to the Triangle where he landed at The Fearrington House with the legendary Jenny Fitch. “Working with and learning from such a master was one of the highlights of my life,” says Walter. He then moved to one of Durham’s fine restaurants, Magnolia Grill, and worked there with Ben and Karen Barker for six years. Professional chefs are rarely completely satisfied because they’re perfectionists, according to Walter. Although his mind may be totally focused on pleasing guests, his imagination is always soaring thinking of new ideas. And soar it did when Walter was asked to be appear as a guest chef on Food Network’s “Iron Chef America. 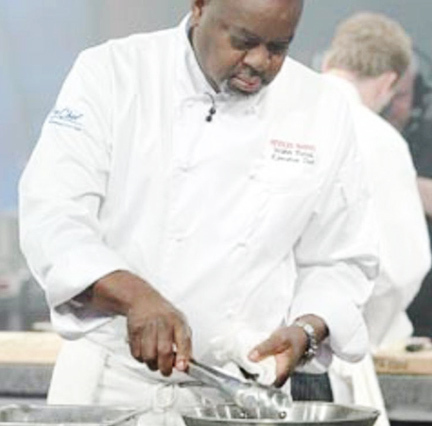 Taking a road far less traveled by celebrated chefs previously on the show, Walter led his team of four to victory by stepping completely out of the box. Chef Royal and his team defeated celebrity Iron Chef Cat Cora 51-43 in an upset not even the most experienced odds maker would have predicted. The originality of using the mystery ingredient, ostrich, in traditional southern dishes impressed the judges so greatly that they awarded Chef Royal and his team the highest score ever given in the history of the hit television show. Competing celebrity Iron Chefs who have appeared on the show include Bobby Flay, Mario Batali, Masaharu Morimoto and Cat Cora.